Say what you will about the vehicles of old, but they have never lacked spirit. Even the models that flopped had something going for them. That is why some of us enjoy taking a step back to look at the past marvels of human engineering. At some point, we transported a 1949 Ford Tudor with our classic car shipping service, so I figured this is the perfect time to talk about this old timer. Let’s explore how this interesting car came to be. Together we will go back 7 decades to an era that was quite unlike everything we have today. We will see how history itself shaped this particular model. We will also delve into one deep controversy. Buckle up, and let’s get going! To say that 1949 Ford was a long-awaited model would be an understatement. It came 8 years after 1941 Ford. Even though the latter did quite well, people were eager for something new. In fact, the 1941 model received quite a few changes throughout its life to partially satisfy the demand for novelty. However, the whole situation was made worse by the fact that civilian production was suspended during the second half of World War II. Of course, the end of the war sparked the need for a real breakthrough. The US economy received a great forecast for growth, and each company wanted a piece of that pie. So the Big Three focused their efforts on developing new models for the public. But there could only be one winner and that was 1949 Ford – the first all-new car post World War II. It became immensely popular and was even dubbed “the savior of Ford”. Do you want to know why? What made the 1949 Ford Tudor such a unique vehicle? When you look at the evolution of car design nowadays you do not see extreme changes. Cars have now transitioned to sharper aesthetics, but their overall shape remains pretty much a constant. That was not the case 8 decades ago. Visually the 1949 Ford was quite the change from its predecessor. This was the car that made streamlined auto design a thing. For example, prior to this new model car fenders were not integrated into the frame. The interior space was also less due to several frame-related limitations. The new model also marked the beginning of the next era of innovations. The mentioned 8-year gap between generations remained an exception for quite a while after. It took 40 years for Ford to get stuck again. We can safely say that with more than 1,100,000 cars sold the 1949 Ford Tudor was quite the boost for the car manufacturer both financially and conceptually. The 1949 model introduced a different ladder frame chassis. Even though this chassis design is quite outdated nowadays, it was considered an improvement at the time. It also made use of a coil spring front suspension, which can be found even on modern vehicles. 1949 Ford Tudor was much more spacious than its predecessor as well. It paved the way for the big sedans we have today. This was done by changing where the engine sits. The drive shaft was also improved, ditching the outdated torque tube. This modern shaft design remained a staple for a while. Obviously, the 1949 Ford was quite the model. It can be considered one of the top Ford designs of the previous century. But what if I told you that perhaps Ford had nothing to do with it? There is one thing I have not mentioned yet. The 1949 Ford had one more reason why it was pivotal for the company. It was the first model that was designed under the third generation of Ford leadership. So it could have very well been the demise of the entire company. We now know it was an instant hit. Because of that a lot of people have shown interest in its history over the years. 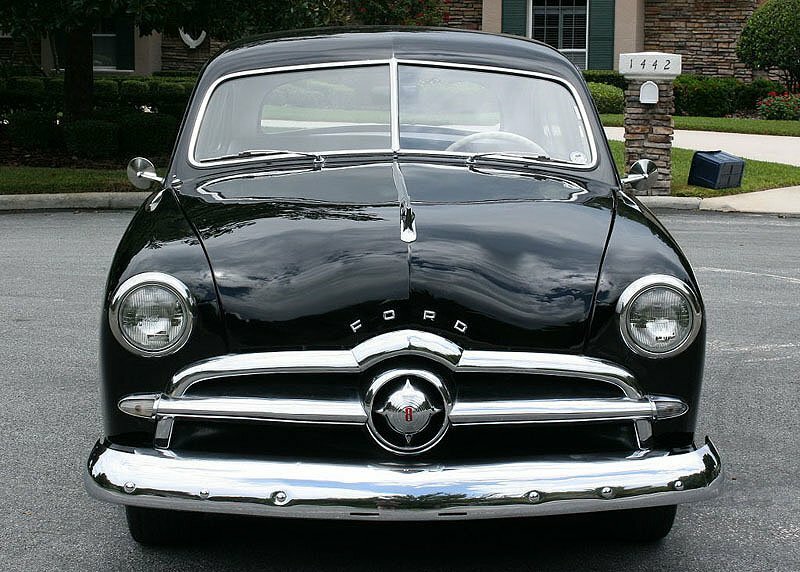 And one question has troubled many folks – who designed the 1949 Ford? It all depends on who you ask! I have to note that things were a bit different back in the day. Even if you designed the car, you would not get the credit. It would go to the person, who headed the design studio. Unfair, sure. But that is how things were. The only problem is people did not like it even back then. So when credit had to be given four people demanded it. What makes the situation so peculiar is the fact that it connects all the way to the Studebaker company. If it does not sound familiar, do not worry. I have a piece on it regarding the least interesting classic car. Indeed, people consider the company pretty much a failure when it comes to design. And yet it is commonly credited as responsible for one of the best-acclaimed designs of the last century. How come? 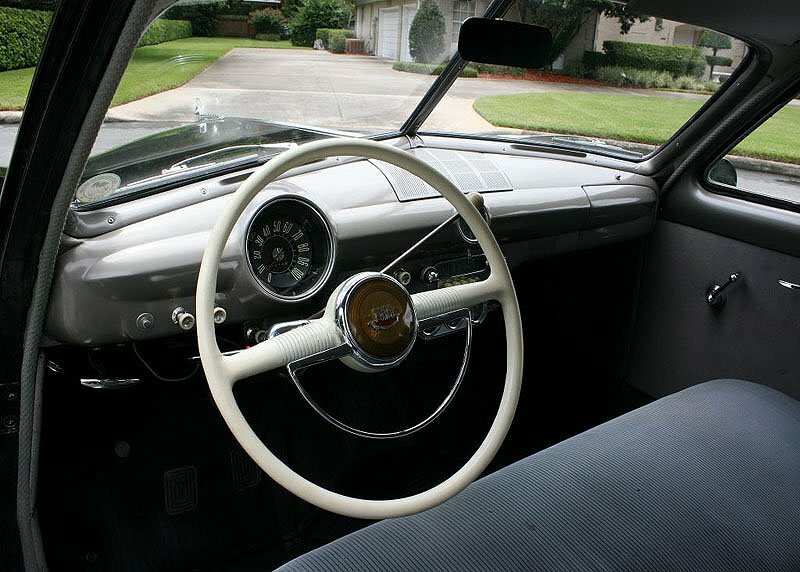 The first person to claim credit for the 1949 Ford design was George Walker – a design consultant hired by Ford. Did he design the car though? Well, no. He was the one who sold the design that his studio developed. That would be the end of the story if the actual designer kept quiet. Only he did not. Enter Richard Caleal, who was hired by Walker to work on the design. But although Walker had him working on the design, Caleal was not officially a part of the team and worked on his own. So when Walker claimed the credit, Caleal did not like it at all. He came forth with proof that the whole 1949 Ford design was his idea. Walker could not deny that, so Caleal took the well-deserved credit… for just a second. Here is where Studebaker comes in. Robert Bourke – the lead designer for Studebaker at the time – claimed the design was partially his idea. He claimed to have advised Caleal and given him resources to finish the job. Additionally, Bourke dropped another name for partial credit – that of Holden Koto. He was the person, who helped Caleal in crafting the final concept piece. If the story seems a complete mess so far, you have not seen anything yet. It turns out there is quite a lot more to it than simple claims. There was little evidence to support Bourke’s initial account. Yet there was one minor detail – Caleal used to work for Studebaker. Not only that, but he also went to his former colleagues to ask for help. He even hired some of Studebaker’s clay modelers. However, Caleal claimed that in the end, he went for his own design. The whole story goes completely haywire from here. Caleal, Bourke, and Koto all shared different accounts of what happened. Bourke claimed that 99% of the design was his. Koto, on the other hand, went forth to say that Bourke only designed the spinner grille. So who designed the majority of the car according to Koto? He himself, of course! Who came up with the design after all? Through plenty of twists and turns the true story was never fully uncovered. However, many years later it was discovered that Bourke had not actually designed a spinner grille at all. That was added by another designer at Ford after the 1949 Ford design had been submitted by Caleal. So who was telling the truth in the end? It seems it was all of them. Currently, the design credit is shared to Caleal, Bourke, and Koto. Certain investigations have led to the conclusion that all of them had a part in the design. The differences in all the accounts were due to misinformation amongst the three of them and the other people involved. It is still not entirely known who came up with what, hence the three-sided credit. Does the 1949 Ford Tudor seem even more interesting now? If you ask me, I think this car became even more appealing. It is not only a piece of history but also an art conspiracy of sorts. I would be happy to have it in my classic car collection… if I had one. But what do you think? Does all the controversy around the model interest you? Do you see it as even more desirable now? You can find plenty of offers for it online. Of course, it is not guaranteed that there is one near you, but that is what we are here for. If you find a good deal on the 1949 Ford, we from Corsia Logistics can take care of the shipping wherever it is. You can even get a free car shipping quote. Right now I will follow my own advice and actually look up some offers online. My collection has to start somewhere, right? Well, at least a guy can dream!